Some longtime customers and vendors are angered by the move and they worry that the market, which has been adding stalls, is getting too big. 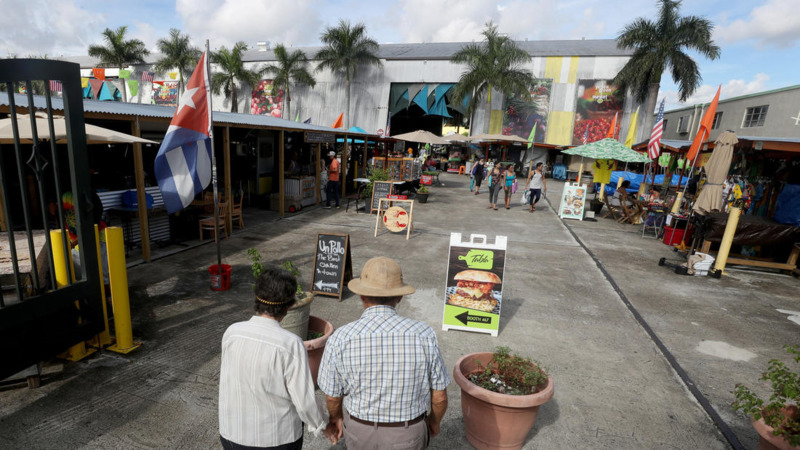 In the last year, the market added stalls (it now has more than 300 stalls) and took away parking spaces on the east side of the main structure. Because of heavy rains, a corrugated tin roof has been built over the new stalls. 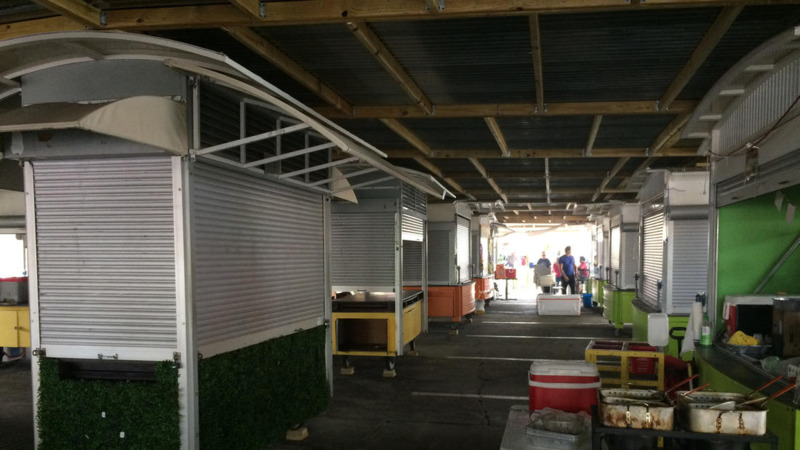 The new area has the look of a shantytown, and it struck me as being more Swap Shop than trendy “food entrepreneur incubator,” as Yellow Green management likes to tout the market. Many stalls in the new area were empty this past weekend. 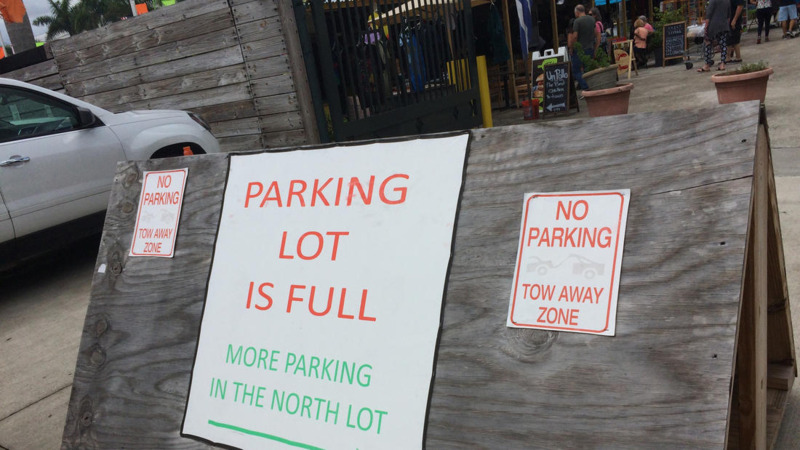 Besides taking away parking spots, the new area has siphoned business from stalls in the main building, vendors say. Some businesses say revenue is off 50 percent from last summer, yet the traffic and crowds are worse than ever. “Now there’s 200 of us competing for the same 10 cents,” says Steve Olek, who recently shuttered his stall, the Pastrami Joint, after nearly two years. The new parking system will feature gates at lot entrances and a ticketing system with machines that will accept cash and credit cards. The initial daily fee has been set at $5. 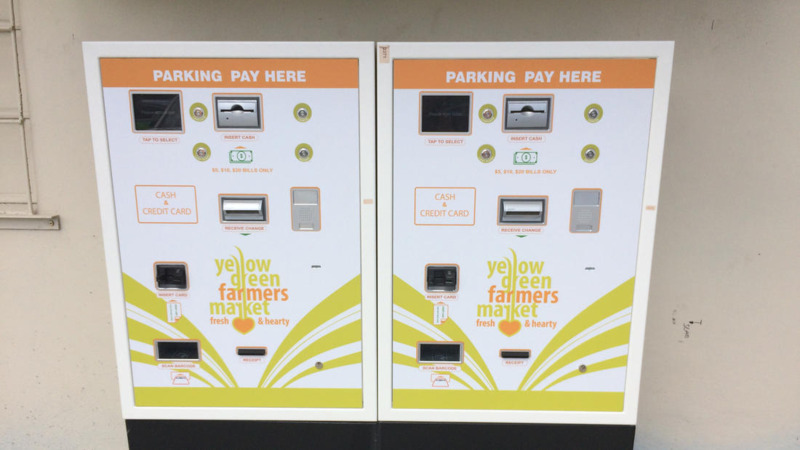 The parking fees are here to stay but congestion relief is on the way, says Mark Menagh, Yellow Green Farmers Market general manager. 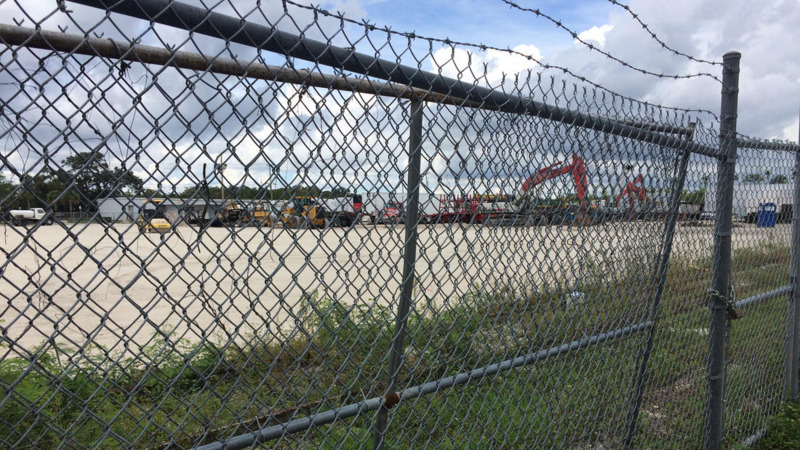 The market’s owner recently made a multimillion-dollar purchase of land to the market’s north, which is being cleared for a new lot. The land purchase also allows for a direct way to the market from Sheridan Street (with I-95 exits nearby). Previously the only access to the market, at 1940 N. 30th Road, has been from hard-to-find Taft Street. Once the new parking lot is paved, a multilevel garage next to the market is planned. Menagh says the parking fee is needed to offset the cost of the new land and the garage. Rents and fees have also increased for vendors. 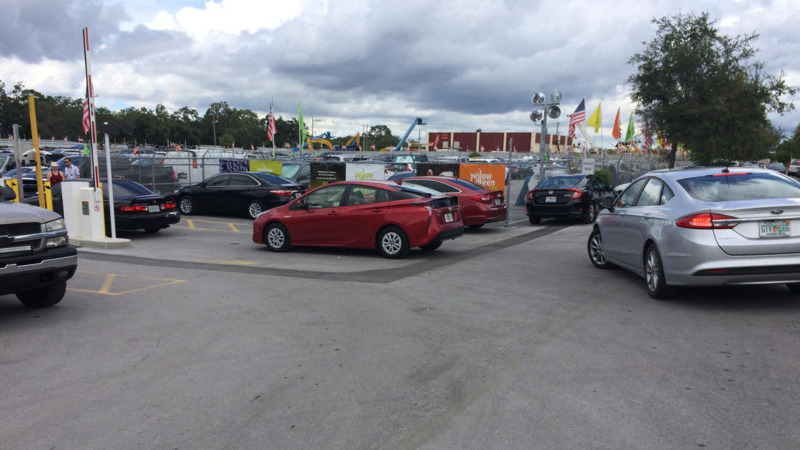 Menagh says there is an option for those who do not want to pay for parking — a free park-and-ride lot at the nearby Sheridan Street Tri-Rail station. I found an empty lot when I parked there last weekend but the journey will have its challenges, particularly for those carrying heavy bags. 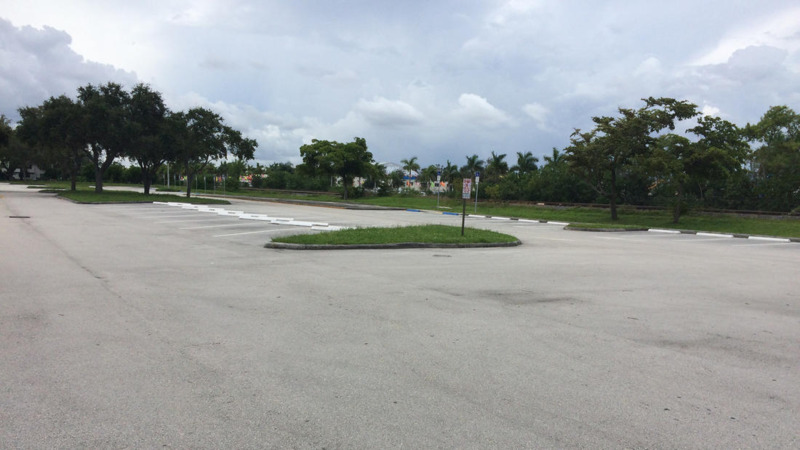 To get to the market from the Tri-Rail lot, one will have to cross to the other side of the train station (by climbing and descending 48 stairs or riding an elevator), and then one must navigate a tricky, unpaved dirt and gravel slope from the platform to a walking path that leads to the market. 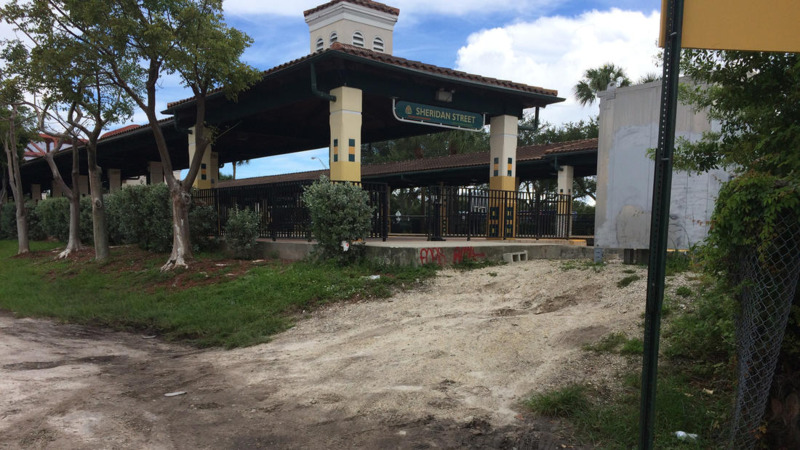 Things might be worse if Tri-Rail closed the access gate from the platform, because there would still be a way to get around the gate — by climbing on the train tracks. The situation is not optimal.